show MORE results . . . .: Who is this? Competition time. Can you guess the identity of this person. And no it's not an old family photo! 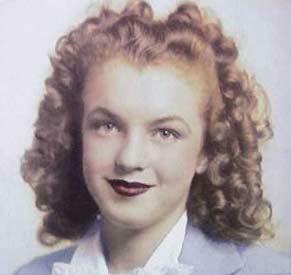 Yes, this lovely lady is Norma Jean / Marilyn Monroe. Hand colouring a nice touch, don'tchathink? It's Norma Jean Baker...Ain't it?